Wabi-Sabi, the Japanese art of finding beauty in imperfection, is the latest trend in home décor. 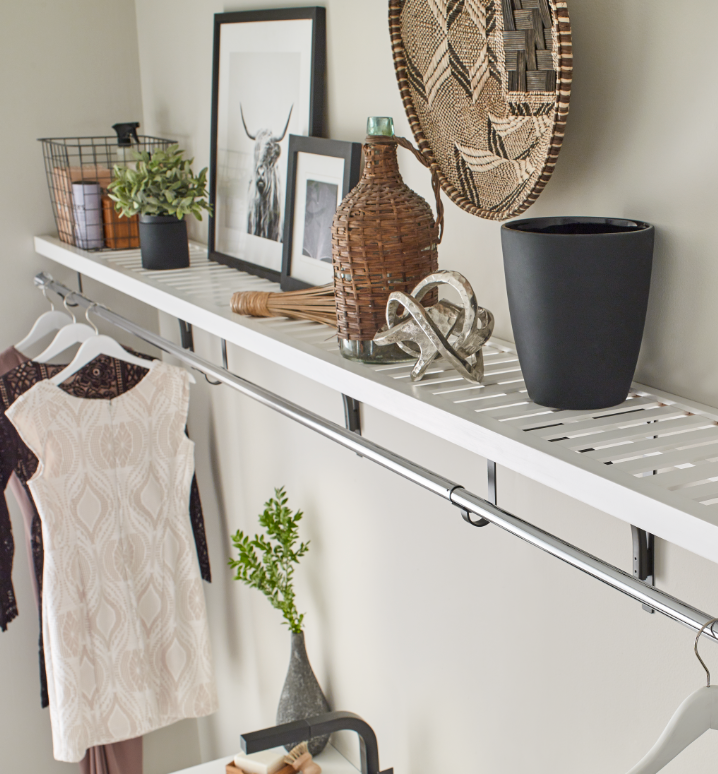 Instead of sleek, all-white minimalist homes, wabi-sabi is about embracing the natural world in your home. 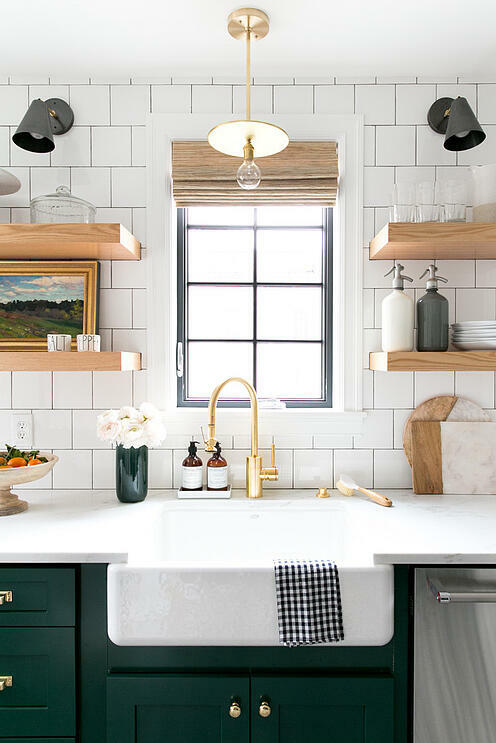 Some ways to incorporate this include items like rough linens for table settings, natural wood textures for decorative bowls, woven baskets, and colorful stone kitchen countertops in dark marbles and onyx. 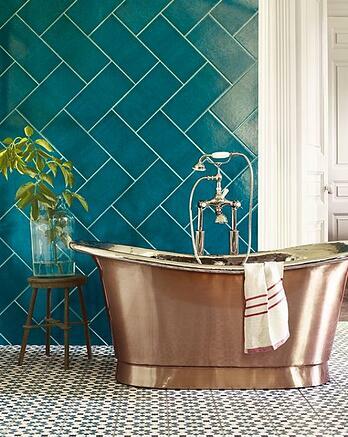 Gone are the days of stainless steel – brass is the latest metal for home and bath accessories. 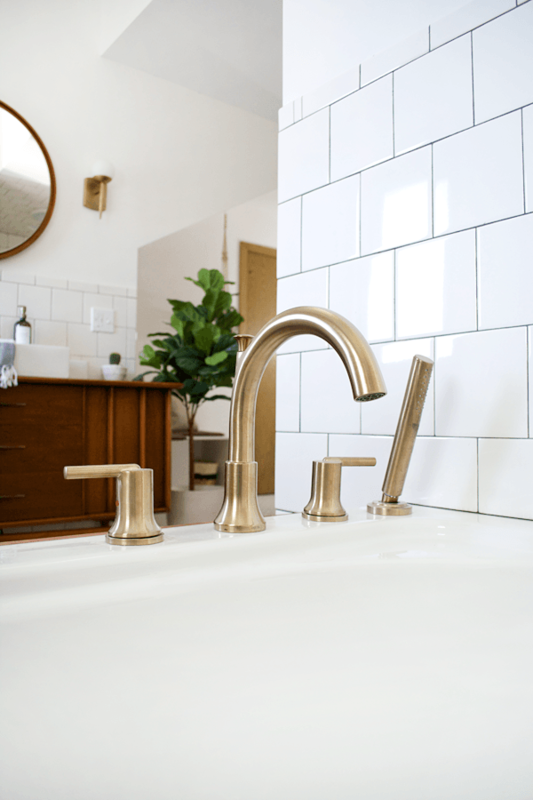 The soft, vintage look of brass is ideal for lighting fixtures and faucets, and can add a new sense of character to a room. 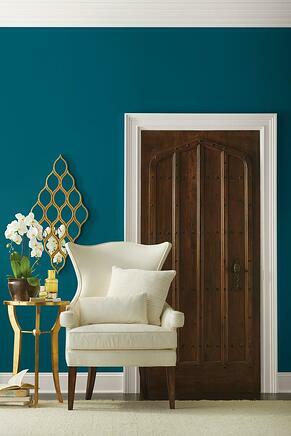 According to Sherwin-Williams, the 2018 paint color of the year is Oceanside, a rich blue that pairs beautifully with organic textures and greens. 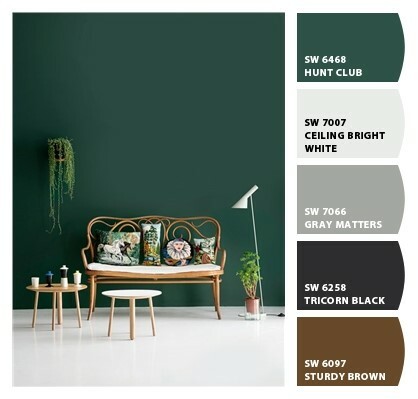 Other Sherwin-Williams 2018 color collections include Sincerity, which features warm, natural hues, such as shades of browns, tans, and grays; Unity that focuses on pops of vibrant and artisanal colors like indigo and maroon; and Connectivity, a high-tech inspired color palette with “pixelated oranges, violets, digital greens, and high-def yellows”. 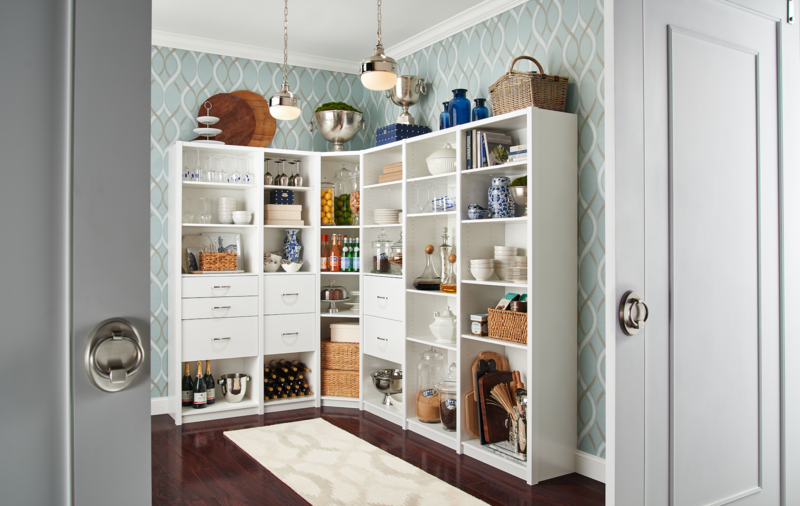 Both geometric and floral patterns will have a more active presence throughout the home. 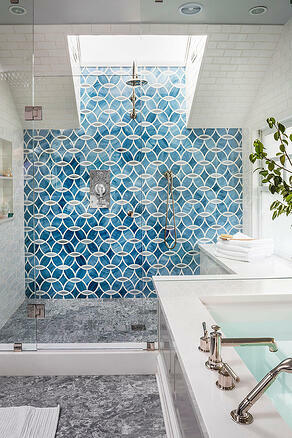 From backsplashes to accent walls to statement furniture pieces, these patterns are all about incorporating eye-catching style and color variations in the most unsuspecting places. The farmhouse style isn’t necessarily the newest trend; this look has been all over Pinterest for some time now. However, 2018 is the time for modifying and urbanizing themes of this style in different parts of the home. 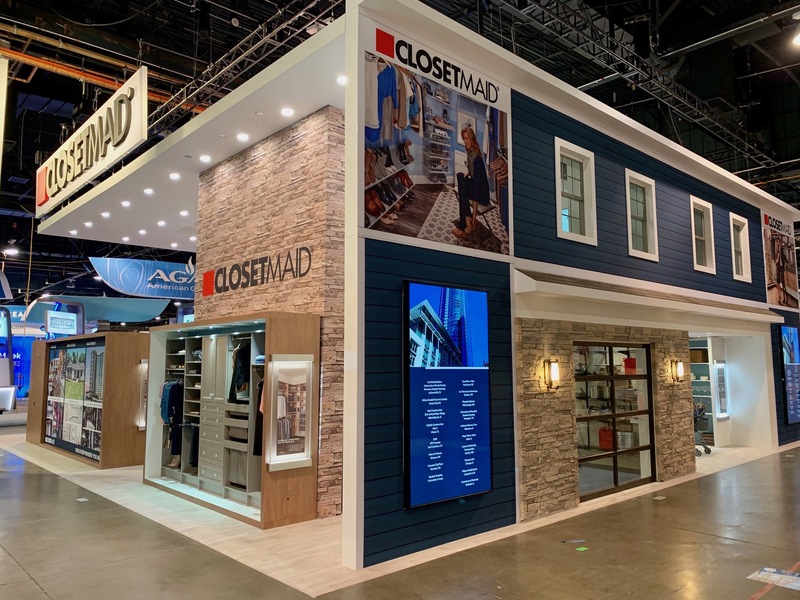 Shaker-style drawers, trough sinks, exposed wood patterns, navy blue and black kitchen cabinets, and vintage lighting fixtures are all part of this new emerging modern farmhouse style. 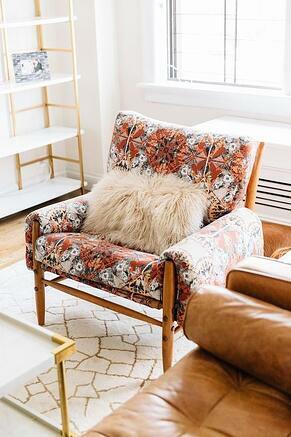 Although there are so many great new ideas to choose from, just remember, these styles can all be modified so you can make your home as unique as you! 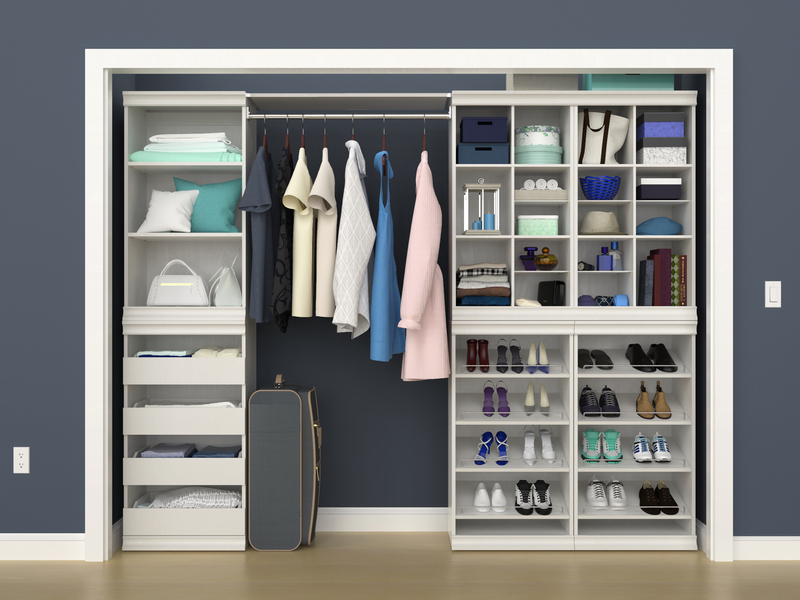 For more design trends and organization ideas throughout the year, be sure to visit ClosetMaid.com, and follow us on our social channels: Facebook, Twitter, Instagram, Pinterest, YouTube, Houzz and Flickr. 0 Comments on "5 Home Style and Décor Trends to Watch in 2018"